This is exactly the sort of game you want in a final group match of a campaign. 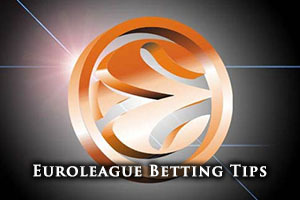 There is a playoff stake up for grabs in this one and as it will be the fourth time that these two teams have clashed this season in the Euroleague, there should be a great deal of familiarity between the two sides. Maccabi were winners in the two games in the regular season and when they squared up to the Berlin side again in the Top 16, they were on a run of 9 wins in a row against their German opponents. However, this was the backdrop to a stunning 59-66 win in Israel for the Germans back in round 7 of this group. With both teams knowing that they need to win the game to clinch third place, this is a hugely exciting match to look out for. For ALBA, it really is win or bust because if they lose this one, their Euroleague journey is over for another year. Maccabi, the reigning champions, have a bit more leeway. If they lose but Belgrade defeats Panathinaikos in a game that begins a little later on Thursday evening, the champions will take fourth place and join Berlin in the playoffs. This has the makings of a massive night in Berlin. With respect to overall records in the Euroleague, the reigning champions have the stronger record but this may count for nothing by the end of Thursday night. ALBA Berlin hold an 11-12 record this season which includes a 4-6 record in the regular season and a 7-6 record in the Top 16. Maccabi hold a 15-8 record which includes a 7-3 record in the regular season and an 8-5 record in the Top 16. Of course, an ALBA win would see them edge beyond Maccabi on the head to head! With respect to average points scored, the Israeli side leads 78.0 to 72.8. When it comes to big players to look out for in this one, the German side will be relying on Jamel McLean turning up and doing the damage. McLean has offered up an average of 13.2 points per game this season and he has also provided an average of 5.6 rebounds per game this campaign as well. His performances have been crucial in making a difference in so many games for the Berlin team this season. Alex Renfroe has also played his part, serving up an average of 5.2 assists per game this campaign. Devin Smith is the current top scorer for Maccabi, offering an average of 15.4 points per game this season and he has also chipped in with an average of 6.2 rebounds per game this campaign. Another excellent player for Maccabi of late has been Jeremy Pargo, who has provided an average of 5.4 assists per game this season. ALBA are still in second place in the German league, holding a 23-4 record and sitting beside Brose Basketball who have the same record. 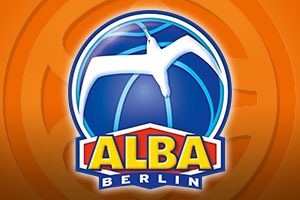 In their most recent domestic game, ALBA were 90-78 winners over Telekom Baskets Bonn. In Israel, Maccabi Electra Tel Aviv sit at the top of the table with a 23-3 record and they look rather comfortable in first place. In their most recent domestic game, Maccabi defeated Hapoel Tel Aviv by a 89-72 score line at home. Taking ALBA Berlin with a +3.5 handicap, at odds of 1.90 could be an excellent bet for Thursday night. With respect to the Over/Under market, going OVER 148.5, at odds of 1.90, should be a sound bet. Bet Now!